RECC Protecting Customers and Promoting Renewables – ATC Construction are happy to announce our affiliation to the Renewable Energy Consumer Code (RECC). 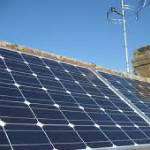 The Renewable Energy Consumer Code was set up by the Renewable Energy Association. Their aim is to guarantee a high quality experience for consumers wishing to buy or lease small-scale energy generation systems for their homes. The Renewable Energy Consumer Code logo is a sign that the company has agreed to abide by the high standards set out in the RECC Consumer Code. Renewable Energy Consumer Code Glasgow….what energy efficient measures does the code cover? Small-scale heat and power systems enable you to generate energy at home from renewable sources. Technologies for doing this include photovoltaic solar panels, small-scale wind and hydro electricity generating units, ground or air source heat pumps, solar water heating panels, boilers or CHP units fuelled by wood chips or pellets. Renewable Energy Consumer Code Glasgow. Members of the scheme are firms selling or leasing small-scale renewable or low carbon heat or power generation unit who have agreed to comply with the Renewable Energy Consumer Code. This Code is backed by Trading Standards Institute as part of its self-regulation initiative, the Consumer Codes Approval Scheme. 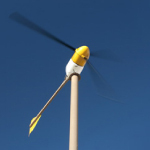 It is important that small-scale generation equipment is specified, installed and maintained correctly, not only for you as an individual consumer, of course, but also for the development of the renewable energy sector at large. Bad experiences will damage the reputation and credibility of the sector. To ensure you have a good experience, you must know what to look out for. Of course most consumers are not technical experts, and nor do you need to be. But you do need accurate information and enough time to understand what it is you are buying. You must be clear about what your expectations are, and you should know the extent to which the generator(s) you are considering are capable of meeting them. In particular you should be clear about the typical price range and likely performance of the generator, and what this is likely to deliver for you in financial terms. Why do you want to generate your own energy? You may want to save the planet, save yourself money, enjoy the idea of generating your own electricity or heat or just show your neighbours how green you are. More likely it will be a combination of some or all of these. The bullet points below give you some things to consider. Broadly speaking, you will save more CO² emissions the higher up the list you plan to be. 1. Heating your space and water using renewable instead of conventional electricity. 2. Heating your space and water using renewable instead of oil-fired heating. 3. Powering your lights and appliances with renewable instead of conventional electricity. 4. 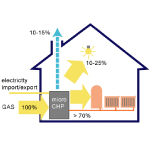 Heating your space and water using renewable instead of gas-fired heating. 5. 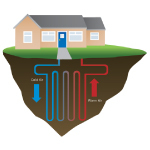 Heating your space and water using combined heat and power instead of gas-fired heating. The Renewable Energy Consumer Code Glasgow ensures you receive the best available service from ATC Construction if you are considering installation of photovoltaic solar panels, small-scale wind and hydro electricity generating units, ground or air source heat pumps, solar water heating panels, boilers or CHP units fuelled by wood chips or pellets. Save money on your energy bills – Call 01236 888213 or use our contact page.